Black and white art requires the viewer sink into the imagery so that they can explore it fully. Many of my dreams lack colour. It sounds like it's a relatively rare effect for someone who didn't grow up with black and white television. Much of it probably comes from the huge amounts of black and white illustration I collected since I was very young. From Gustave Doré's illustrated books to the Fighting Fantasy series. 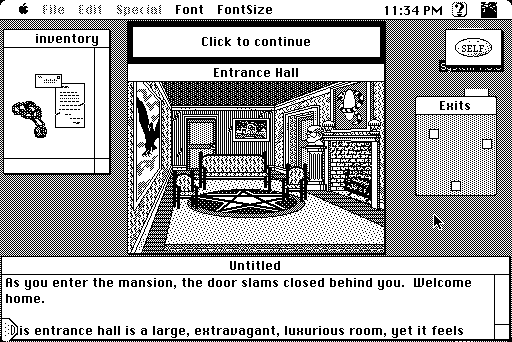 However, some of the most immersive black and white experiences I had when I was very young were the games for the family's Mac Classic and Mac SE. 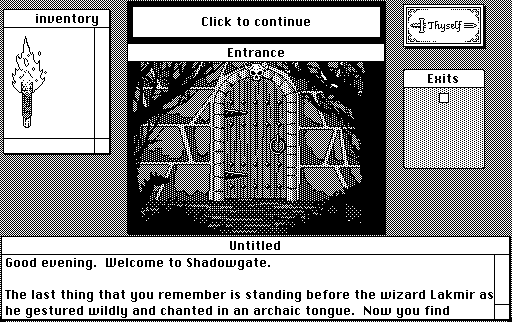 Particularly Shadowgate and Uninvited. 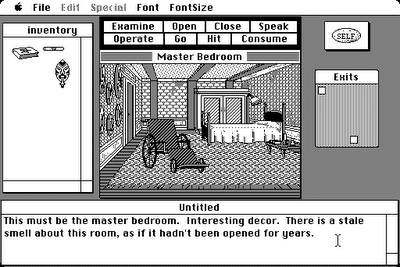 The central window was the view into the world, and an inventory to the side contained drag and drop illustrated objects you collected along your way. Stark and infrequent sounds would pierce your explorations, often coinciding with a sudden new central illustrations of your grisly fate. Every death was then capped with a vision of a reaper. 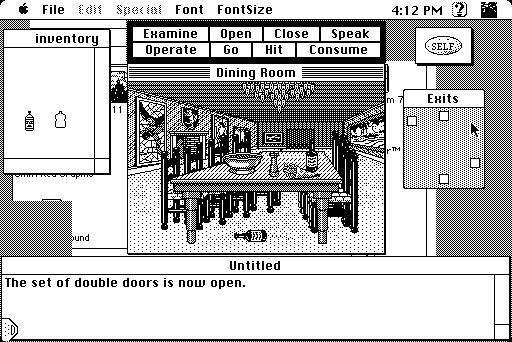 The artist Uno Moralez is a master of the immersion and thick atmosphere that can be achieved with this type of pixelated black and white art. You can keep up with his work on his own blog. sooper envious. i grew up in an immensely sheltered religious home, so the creepiest imagery i ever had were those shorts on sesame street splicing the heads of hound dogs on top of human bodies. 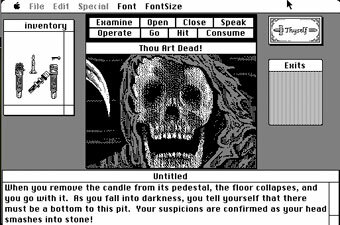 ahh i take that back, religious tracts like the ones Jack Chick made showed a little glimmer to me on how darkly detailed the black and white world could be. but those are some amazing pieces, i can totally see the positive influence on you. i wish i could have grown up with that stuff, but its not the childhood that insures a great artist, its when one decides to put those experiences to use.